We are a friendly and thriving club and always pleased to welcome new members. Application forms are available from the clubhouse or download the one below. Please download, complete and return the application form to the club secretary. If you do not have Adobe Reader please click here. 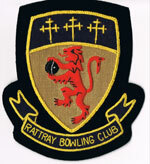 New non-bowling members and £25 for the 1st year. Membership fees are payable before 28th February each year. There is an opportunity to participate in friendly and fun games and internal and external competitions. There is a regular “rinks afternoon” on a Monday in which all members can take part. This is an ideal opportunity for new members to integrate into the club. There is also a regular “hat night” on a Tuesday when everyone is again welcome to come along and join in the bowling. Beginners and visitors especially welcome. There is coaching available from qualified Bowls Scotland coaches. The club holds regular social events throughout the year including live music and dancing, quiz nights, hilarious race nights and of course a place to socialise with friends and family. During the winter months there is carpet bowling available on Monday afternoons and of course there is a carpet bowls evening league to join if interested. There is a pool table, a dart board and dominoes available with poker card playing nights on a Friday. We are proud of our club and look forward to meeting new members.